Could ‘Animal Crossing Mobile’ Be Announced at Today’s Apple Keynote? It seems we know almost everything about the big Apple Keynote that is happening in only a few hours time. Whether it’s the big new iPhone 8 (or iPhone X, depending on what you read), or the potential powerhouse that is the 4K Apple TV, the upcoming hardware iterations for pivotal mobile gaming devices are certainly worth getting excited over. However, software remains a mysterious, unknown quantity – after the astonishing appearance of Miyamoto to promote Super Mario Run (Free) at last year’s event, Apple have justifiably made expectations equally as stratospheric for today’s keynote in terms of potential new iOS games. One particularly exciting rumour that is making the rounds on social media and enthusiast forums alike is the shock reveal of the elusive Animal Crossing mobile game. With virtually no details from Nintendo on their App Store iteration of their legendary simulation title over the past few months, many are holding out for a similarly bombastic announcement today – but is there any substance to such rumours? Unfortunately, I’m unable to provide much tangible evidence beyond some truly speculative stretching, but that’s not to say Animal Crossing Mobile does not have a chance of appearing at the Apple Keynote today. Firstly, there is a precedent – the announcement of Super Mario Run last year created an unreal amount of buzz around the conference, and it serves both Nintendo and Apple to attempt to replicate that again this year. Secondly, the upcoming Nintendo Direct this Wednesday has specifically mentioned that no mobile games will be shown. 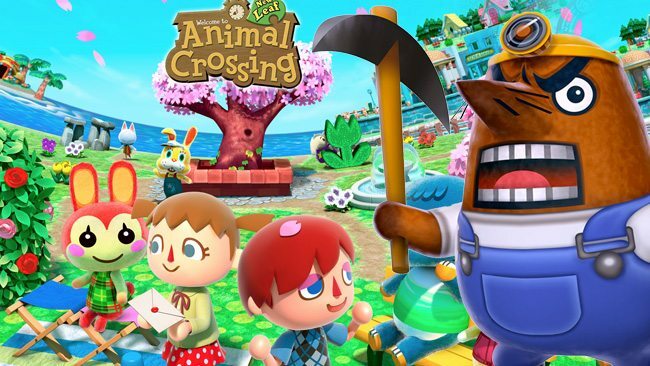 With Nintendo repeatedly reiterating that the iOS and Android iteration of Animal Crossing would launch in 2017, it would be surprising for the game to somehow shirk two major opportunities to be announced with aplomb if it was still making its debut this year. Finally, the fact that so many people on Twitter are confident of a potential reveal today has to stand for something? If we all wish hard enough, maybe it will become a reality. Ultimately, only Nintendo and Apple know whether Animal Crossing will be shown today – tune into TouchArcade from 10am PDT for Apple Keynote news as it breaks.